If you’ve made the decision to utilize pallet racks as a part of your warehouse equipment set-up, congratulations! You’ve taken an important step towards maximizing your warehouse space. Now that you’ve decided which pallet rack system is right for you, such as cantilever pallet racks, you need to decide how you will install them. Pallet rack installation requires a knowledgeable crew and important safety precautions. If you do not have a crew on site familiar with pallet rack installation, you should contact a professional such as S.W. Betz. We’ll tell you the importance of hiring an experienced, professional crew below. Pallet rack installation involves many procedures, including safety precautions, which are vital for a crew to be trained in before performing the install. The assembly components of pallet racks are heavy and can be dangerous when handled by an untrained crew. Not only will a crew with experience be familiar with the instructions and procedures, but they’ll get the job done quicker since they know what they’re doing. When paying for labor for pallet rack installation, you want the job done as quick as possible while being done safely and correctly. If you have questions or concerns about your pallet rack installation, or the system itself, a crew knowledgeable about the equipment will be able to answer you with certainty. Also, if any parts or materials are missing that are needed, an experienced crew will know from the start, and can give you all the information you need to be prepared. S.W. Betz Company, Inc. has the experience and knowledge in pallet rack installation and warehouse equipment to get the job done fast and properly for you. You can request information about our pallet rack installation services by clicking here. The S.W. Betz Company, Inc. has been providing businesses in Maryland and beyond with all of their essential Weighing, Material Handling, Dock, and Warehouse equipment since 1933. 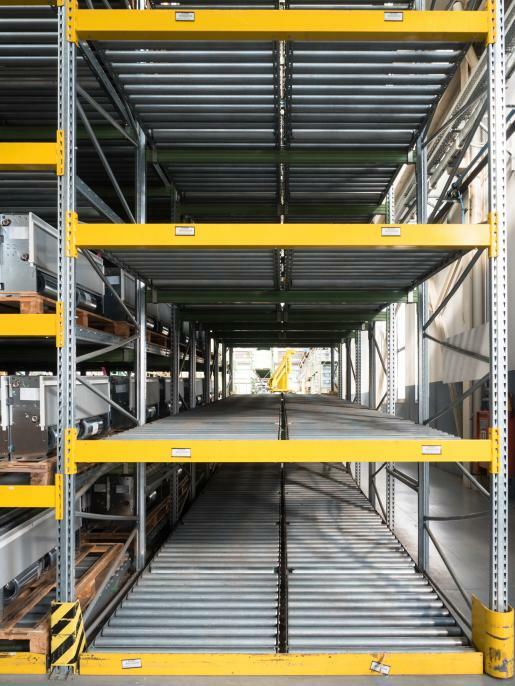 We also assist customers with the installation and repair of cantilever storage racks. If you would like to learn more about pallet rack installation, please contact S.W. Betz by calling 410-574-1414 or 800-332-0322 today! You can count on the S.W. Betz Company to work with you and provide you with our extensive knowledge of the industry. This entry was posted on Tuesday, December 15th, 2015 at 4:00 pm. Both comments and pings are currently closed.